Hope everyone had a great weekend! 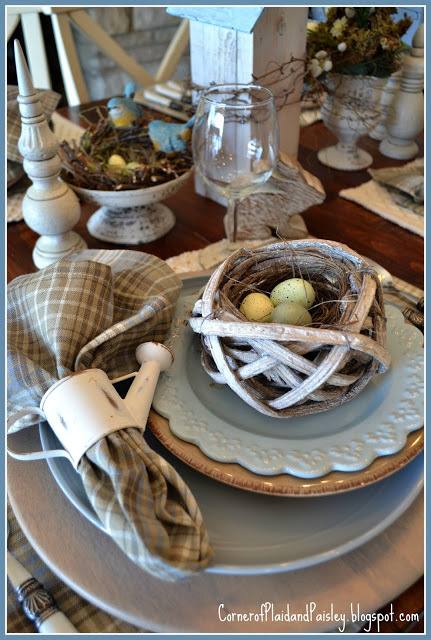 I am excited that the Spring into an Easter Table Blog Hop has begun, and I hope you take some time to see all the great tablescapes everyone is sharing there. This week I am driving back to Ohio and look forward to stumbling across some interesting sights along the way that I will share over on my Instagram page. On top of that, tonight I begin working on a new and exciting project with Hometalk, details to come. I look forward to another inspiring Link Party this week as well, thank you as always for sharing. 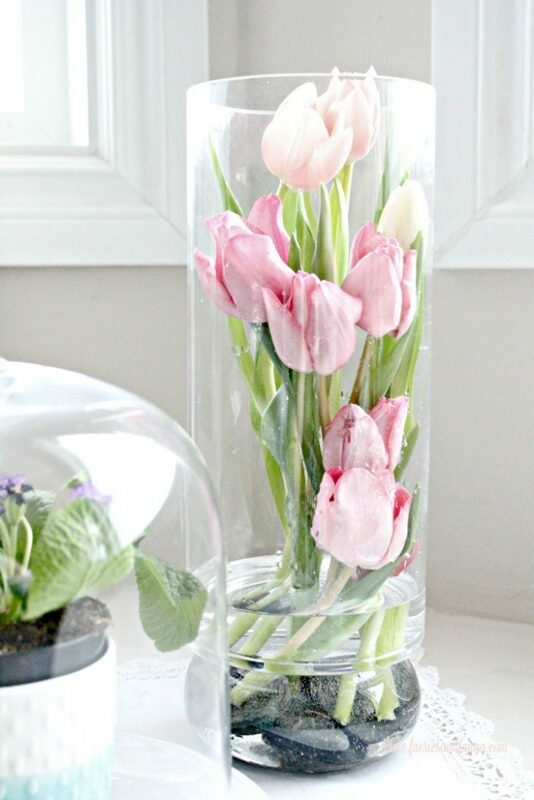 These gorgeous tulips arranged in water were the most clicked link from last week’s party. For a great tutorial on creating this look head over to Of Faeries and Fauna Craft Co. 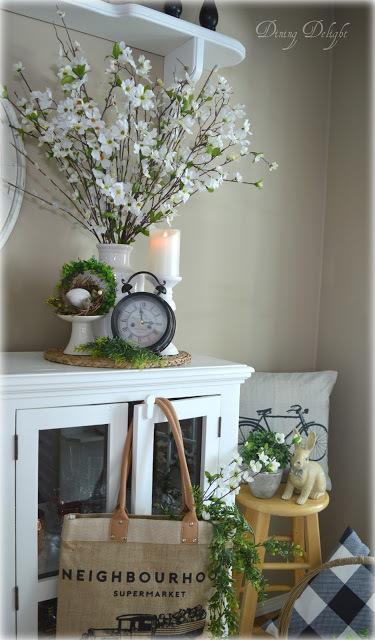 Dining Delight succeeded once again at creating a charming sideboard that works for both Springtime and Easter. I love the greens against the other neutral pieces. Lori displayed how nicely the buffalo check that was so popular this winter can transition into other seasonal décor! This very lovely tablescape had such a unique color palette for spring, and was created by Ann at The Corner of Plaid and Paisley. The sweetest post came to us from Stephanie at Somewhatsimple.com last week. Sandra and I had both wanted to feature this post not only because the playful idea that these cookies were bunny tails, but also because the recipe sounded delicious too! 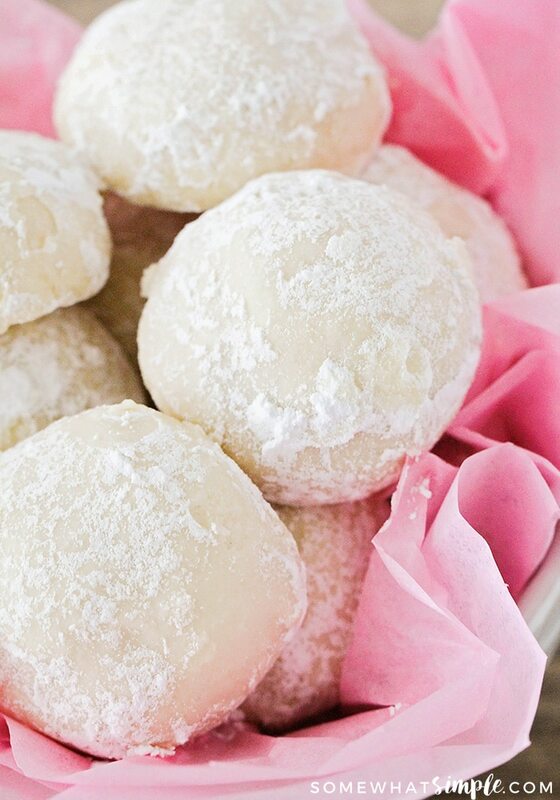 Sandra’s second feature was a great find for your party recipe vault. 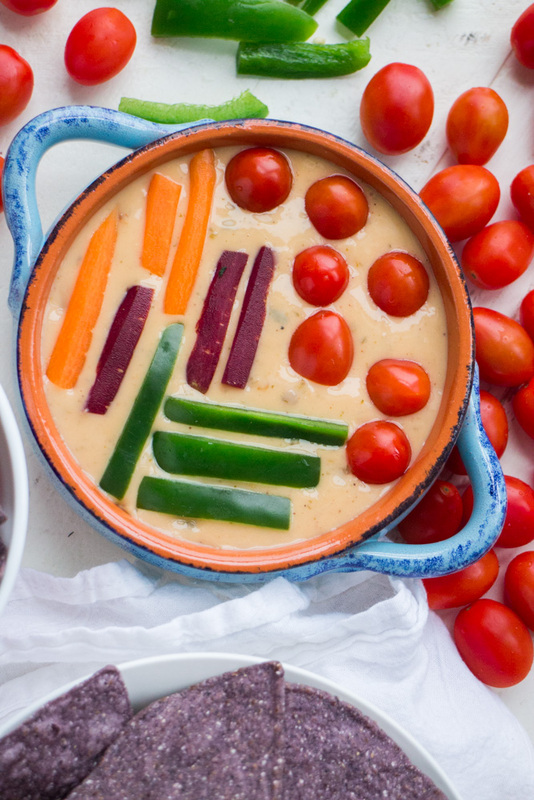 This crowd pleasing vegetable bowl Monterey Jack cheese dip is worth taking a trip over to Brooklyn Farm Girl for all the details! Enjoy your trip. Thank you very much for featuring the tulip arrangement and I will see you next week. Thanks for hosting, Chloe! I’m enjoying all of the lovely tablescapes you’ve been sharing on Instagram. Lots of great inspiration. Hope you have a wonderful week. Thanks so much for featuring my Nesting Tablescape!! I appreciate the compliment of being included in your highlighted posts!! I hope the weather is ok for you on your trip back to Ohio – we are suppose to get more snow- even though spring is finally here. Thanks for including me in the link party! Wonderful featured posts again this week. Wondering if, how I could participate in your next blog hop? Pretty features! Thank you for hosting!